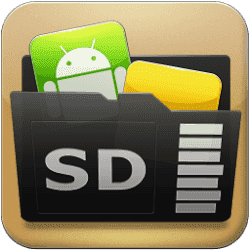 Support app 2 sd for Android 6 and more Samsung/ASUS/HTCdevices. Are you running out of application storage? Do you hate having to check each and every app if it supports moving to the SD card? Do you want an app that automatically does this for you and can not if you when an app can be moved? This component streamlines the movement of apps to on your device’s external or internal storage through your device’s Settings. With this, you’ll have more control over your ever expanding collection of apps. This is crucial to anyone who has memory management issues. You don’t care for all the apps your carrier adds to Android? Well, now you can get rid of them! This component enables you to hide system (built-in) apps from the app drawer. You can freeze apps so they won’t use any CPU or memory resource sand consume zero-battery. It’s good for you to freeze apps that you would like to keep in device, but don’t want them to run or be uninstalled. We have been selected as a Google I/O 2011 Developer Sandbox partner, for its innovative design and advanced technology. If you are interested in helping us to translate this app to your native language, please let me know. Thanks.